Let our team come and understand your business and it's need to protect what you have. Peace of mind that your business is staying free from the latest threats, with automated firewall updates in the cloud. Remove security blindspots, by directing all users and their traffic through a centralised cloud firewall. Protect all of your business with one set of security rules that can extend from one use to your entire business. Businesses today are under attack, with ransomware, phishing and brute force attacks becoming everyday events. 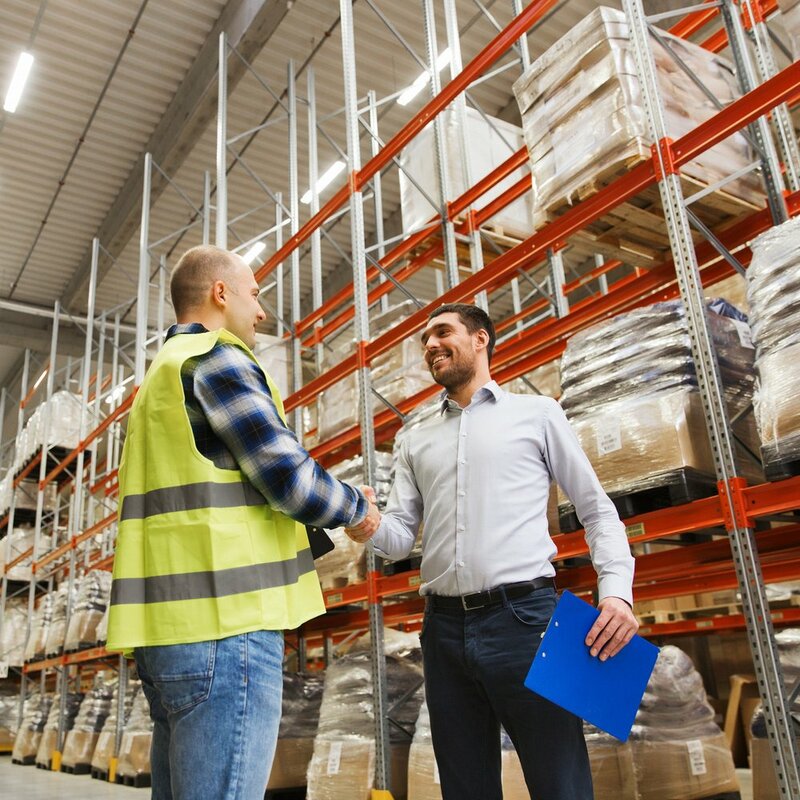 Up until now, businesses have protected themselves with dedicated appliances that had to be sized and upgraded individually to accommodate business growth at each of their sites. Appliance software had to be patched and upgraded with policy management needed at an individual appliance level. Management of firewalls was complex and costly. NOW’s next generation firewall is delivered as a cloud service, simplifying management and bringing more certainty to your business. Our hard work doesn’t end after installation. As your business changes and grows, your security monitoring solution needs to adapt. The threat landscape is also evolving constantly. A subscription based service provides more ﬂexibility than a perpetually licensed software product. Managing firewalls can mean high in-house labour, our outsourced IT costs. With Cloud Firewall, you can receive around-the-clock security for less than a few configuration changes on one of your appliances. With NOW’s Cloud Firewall, your entire organisation is connected to a single, logical global firewall in the cloud with a unified application-aware security policy making firewall services available everywhere, while remaining centrally managed. 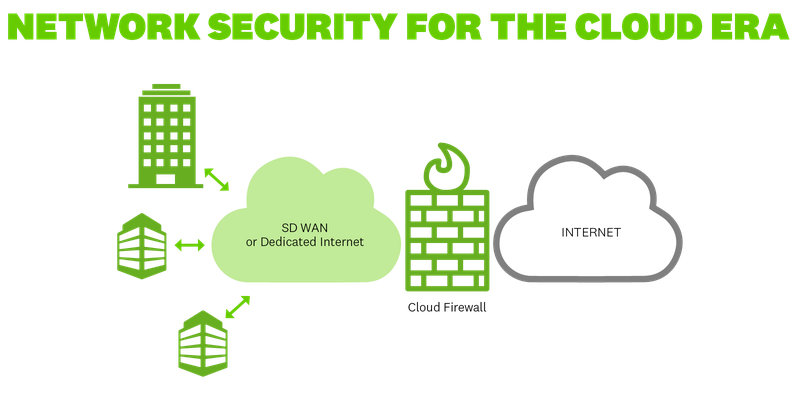 Cloud firewall is typically deployed with NOW's SD-WAN service, and includes a centralised dedicated Internet service that can be sized for the needs of your business. Read our cloud firewall product sheet for more detail. Assign policies to allow or protect access to relevant applications, including software as-a-service (SaaS) apps. Prevent threats by eliminating unwanted applications. Reduce your vulnerability by applying targeted security polices to block known threats, viruses, spyware, botnets and unknown malware. Instead of a large up front capital expenditure, cloud firewall is an operational cost spread over the life of the subscription. This model can provide more ﬂexibility when budgeting IT expenditure. Streamline device, network and policy management with intuitive management features to match your organisational structure. Secure your public and private cloud environments with increased visibility & control. You can deploy and enforce policy no matter where they are located. NOW chose Palo Alto Networks to deliver the next generation of cloud security services across New Zealand. Palo Alto Networks is recognised as a leader in the delivery of cloud firewall with endorsements from both leading service providers and industry analysts.